Welcome back all PLL Lovers !! Last weeks episode ended with Spencer asking Jason for the two thousand dollars to give to Jonah so they could received the information on who was calling Allison aka Vivian. Of course there were no details given to Jason just the bare minimum information. This week we start off with the girls discussing the upcoming transaction with Jonah after Spencer received the cash from Jason or maybe from Allison blackmail fund LOL not sure right. The plan is for Aria to go but also Spencer who is the money contact. Emily insists she wants to go to be involved in things but I really know its because she wants to do something besides sit around waiting for the missing Maya to return her calls. 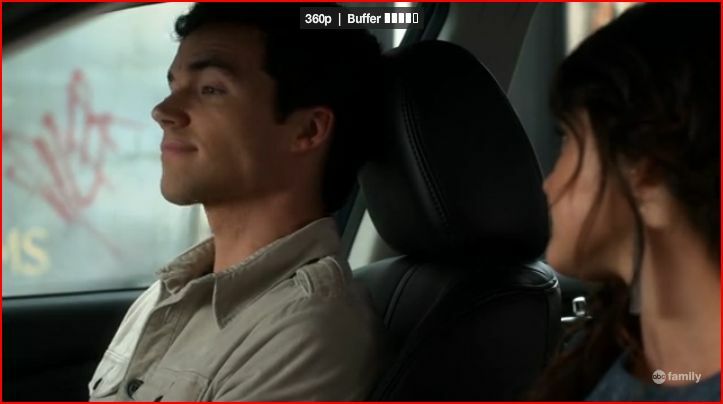 She gets a bit loud in her insistence and Spencer tells her to lower her volume LOL. Its turns out its because Mona is walking up behind them. She asks to speak with Hanna privately after saying hello to the others in her usual cheery mood. Mona reminds Hanna that she had promised to go with her after school to look for an outfit for some party; she is disappointed to find that Hanna has to go home after school. WE all know she will be waiting to hear about the big money/info exchange. Now how often have does someone get a text and have someone else ask who its from? UM never, normally is private business right? 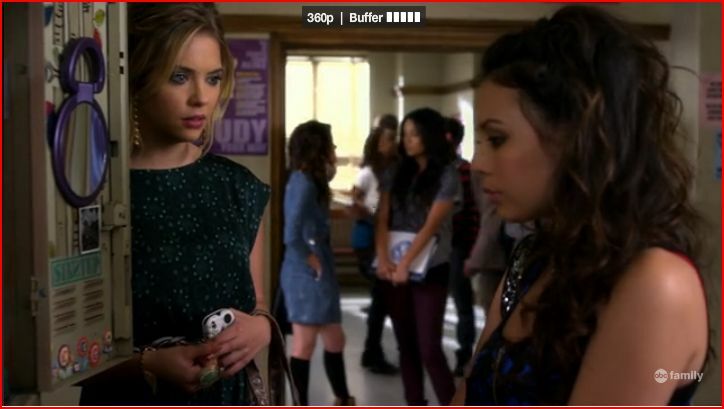 This time Hanna asks Mona who texted her as she looks warily at the phone? Okay with that being said the whole A texted Mona thing stinks of sabotage to me. Its all good and well if Mona had been dealing with this all the time and not telling Hanna to keep her out of it but wouldn’t Hanna have noticed the signs of avoidance, she does it all the time with the others. I know its true of all the girls Hanna is the most easily distracted by her own issues. Now to Mona’s credit she does not show Hanna the text she only says it was sent to the wrong person but we get to see it. I think this means that Mona is not A. Unless of course she just wants to throw off Hanna by pretending to not want her involved in her mess. Not so far away, Melissa and Spencer have the Jason is our brother talk at the Hastings house. It seems Melissa is concerned that others don’t find out. It’s funny Melissa almost seemed NONE Crazy in this scene but its just for show she is all kinds of mean and strange, I believe that. Maybe Melissa’s real parentage is a close relative LOL sorry that sounded so wrong. She actually assures Spencer that they will get through this before she leaves the room to be away from the house because Peter/Dad is due to return home. She isn’t ready to talk to him yet about baby bro Jason. Over at the school later, Emily leaves another message for Maya. I am getting a bad feeling about all these messages; its not really like Maya to be gone this long without talking to Emily right? I felt like something might have happened to her or she is playing the meanest game ever of let’s drive Emily crazy LOL. Paige with her really cute new hair, asks Emily to go with her to local businesses to ask for ad space for the team. Emily agrees because she has nothing else to do besides wait by the phone for the girls to call about the Jonah thing or for Maya to call about them LOL. Poor Em what a bad situation to be in. I totally think Paige is hitting on her now though with all of her longing looks and smiles. Over at Hanna’s Mona is showing her the items she has picked out to choose from for the party. She suddenly gets another text but this time she reveals to Hanna it’s from the same FREAK who sent her the text claiming Hanna had liposuction. Oh Yeah I remember that Mona was so upset thinking Hanna cheated when she did the whole getting healthy routine to get smaller. 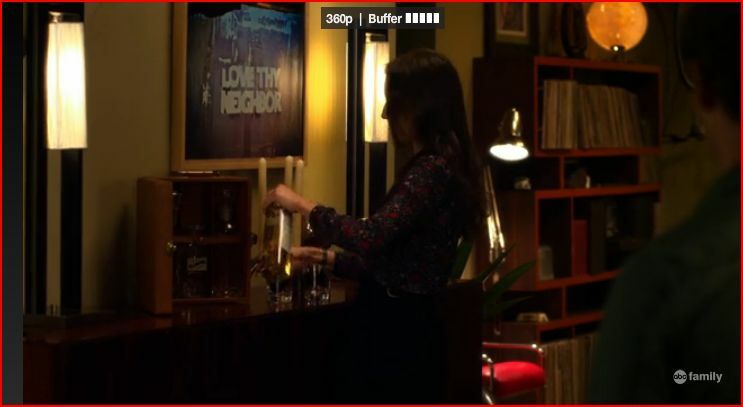 Mona shows Hanna a text picture of Ashley with Darren at the window kissing; Mona makes note that the text person wants her to believe that Ashley slept with Darren to save Hanna. Mona seems sure it never happened. Hanna says the picture was photoshopped. Hanna asks what Mona would do if asks to turn her or her mother in because of the texts but Mona replies if she can handle Allison’s torture she isn’t worried about radioactive texting LOL. I like her style but hmmm not sure what it all means now. After the brief break, we see Spencer Money Bags Hastings sitting with Aria the face Montgomery, waiting for Jonah to arrive to give them the information. Jonah’s first concern upon his arrival is that there is another person with Aria. Aria tells him she is the Money LOL. Spencer wants the infomration before giving over the money but Jonah has been deceived once and won’t give it without the money first. He gives them an address on the paper after he makes note that Vivian owes him answers but he begins to walk away without explaining. They stop him but he says that Vivian was happy with the information; it included the fact that the phone was a “burner” phone all he could get was the location. The money they gave him was what was owed to him he thinks they got the address for free LOL. 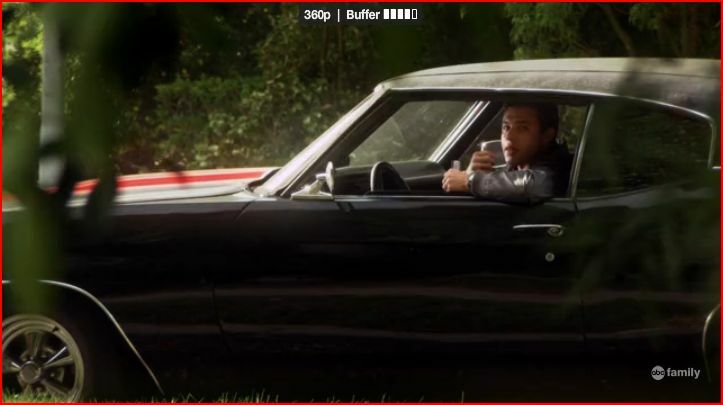 They track the address on Spencer’s phone but before they can leave they notice Garrett watching them. Seriously this guy sooooooo needs a hobby besides following people around, threatening students and boinking blind teenagers LOL! They text Hanna that plans have changed; will explain later. In the kitchen at Hanna’s house her mother is cooking dinner. They discuss what would happen if it ever got out about Darren sleeping with Ashley, her possibly losing her job, and if any of that information were to be found out how Tom might want to sue for custody of Hanna. It’s so weird the girls are all so independent but in reality they are just teens living under their parents domain. 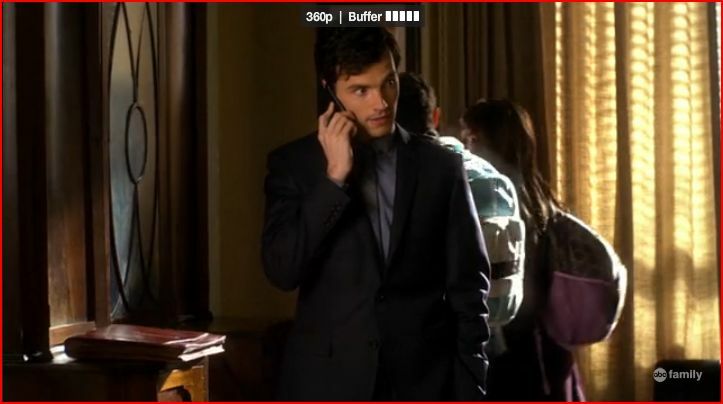 At the Montgomery’s house Aria is talking to Ezra who is just about to go in to his interview in Louisiana. They only have a few minutes to chat before Ella arrives in her room to talk to her about school and other things. She shows Aria the page with last weeks restaurant information with A on it. Ella wants to know if Aria has any idea of who might have put the information on Byron’s car. Ella mentions that last year the letter she received about Byron’s affair was also signed by A, its kind of lucky at this point that Aria does NOT know who A really is because its easier for her to say NO she has no idea. It’s kinda true you know easier to pull off. Ella promises that she and Byron will look into it. Hanna tells them all at her house, about what her mother did to keep her from getting in trouble about the shoplifting also about the Mona text situation. They consensus is that A is going after their friends now that they are getting closer to the truth. Hanna goes off downstairs to get food but almost as soon as she leaves Aria confesses about what happened earlier with her mother. The bottom line: Ella is on the hunt to find out about A. Aria then has to confess that she is still seeing Ezra. Spencer states that Aria deserves an Oscar for her performance in the times where they had commiserated about missing both Tobey and Ezra LOL. Aria is sorry but Byron is still doing everything to get Ezra out of her life and Rosewood for good. Nope she is not in the clear just yet folks. Hanna calls them from downstairs but I noticed they left the window open. 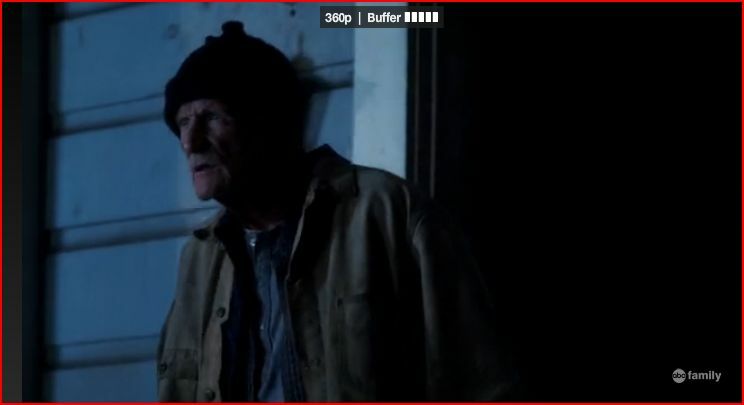 If Garrett is still outside like Spencer mentioned earlier he might be able to hear what is happening without even being in the house if he is that curious right? Anyway so Caleb has sent them more video; we watch as they all see the door open in the room to find its Melissa, YIKES, she says, “where is she?” She is of course referring to Allison in whose room they all stand. After the break, as the girls are discussing what to do about their discovery we see that someone is watching through the window. 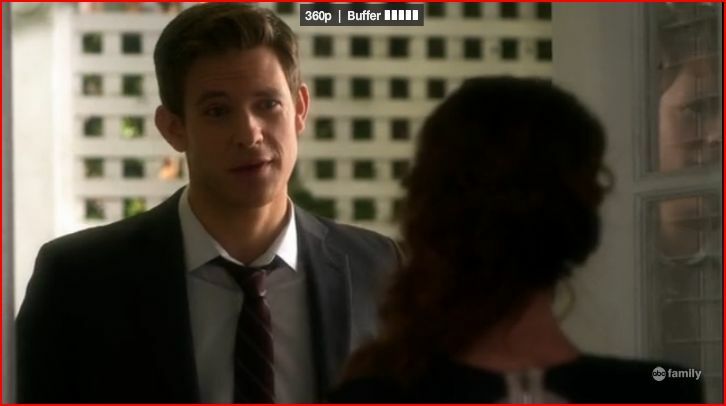 Spencer wants to find out from Melissa what she was doing there while the others want to go ahead and call the police. I don’t know who at the station would trust them right? They all argue with Spencer over her wanting to talk to Melissa first; its weird that she even wants to talk to her lying sister first but I think that Spencer wants her family to be NORMAL no matter what they have done is so sad. They give her one night to talk to Melissa as they go off to find out about the address. Later we find Spencer at a bar ordering coffee. Then we are back at Hanna’s where Mona presents her with a gift from A. 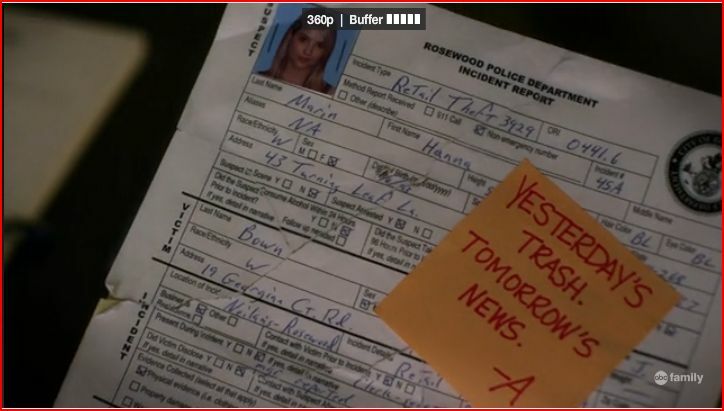 It is Hanna shopping theft report from the Rosewood PD. It has a note from A, Yesterdays Trash Tomorrows News. According to Mona it was in her mailbox on her return home. A wants Mona to turn in the picture from earlier and fill out her own theft form. Mona doesn’t want to go to jail but who does right? Then again she and Hanna had been shoplifting forever did they expect to never get caught? Back at the bar, Emily texts Spencer about talking to Melissa; seems the natives are restless. You know it’s so interesting how Spencer is usually the gung-ho type now the ball is in her court and she is stalling. Her family really has her brain in a noose. A minute later she goes from drinking coffee to grabbing a shot off a tray that happens to be sitting beside her. Yes she is stealing liquor, oh and she is underaged LOL. 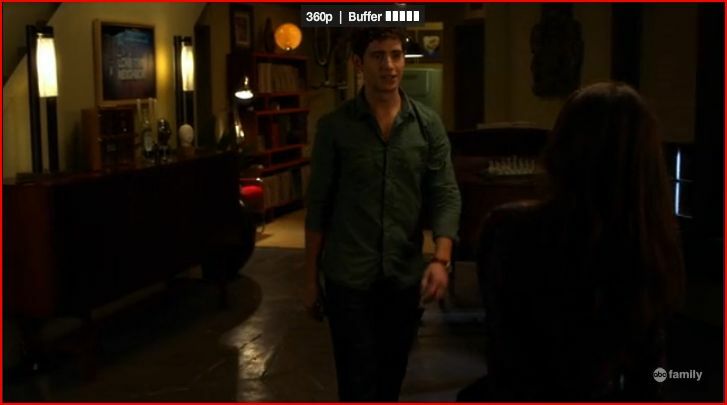 Wren walks in then up to Spencer, he calls it Fate, she calls it a small town LOL. She can’t invite him to sit down but Melissa is supposedly on the way, hmm well at least she had called her. Melissa is about to come inside the bar but Garrett stops her outside with a honk of the horn. 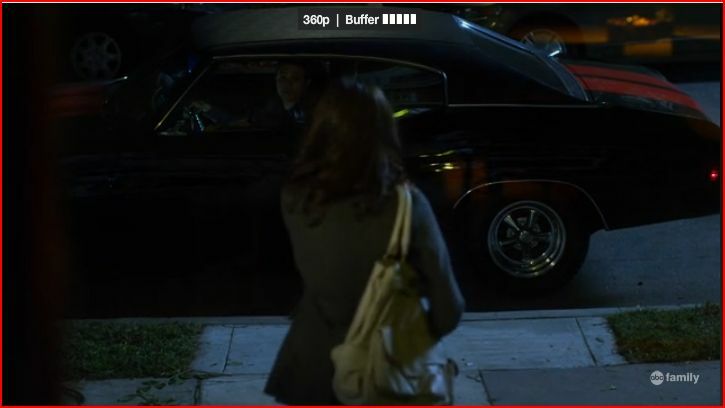 Spencer and Wren watch as Melissa gets in the car with Garrett instead, “what the hell just happened,” Spencer asks. “It’s not very sisterly of her,” Wren says as they others drive off. 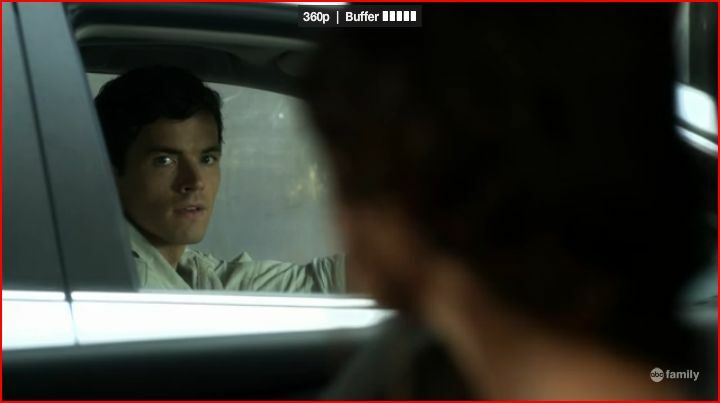 Spencer doesn’t understand why Melissa would get in the car with a practical stranger, Garrett. It’s very obvious that Melissa knows Garrett because there was NO hesitation to get in his NONE police car with him. I tell you Garrett has to get a Hobby now he is just waiting outside a bar and inviting stranger in his car LOL. Wren says that Melissa was with Garrett at her OBGYN appointment last week, ruh roh, not so much a stranger huh. Wren wouldn’t forget that one because normally no guns allowed. I guess that means he must have gone in his uniform. Melissa then sends Spencer a text lying about her whereabouts, she says she got caught up late in class. Liar Liar pants on fire. Meanwhile at Hanna’s she confesses to Mona that she has gotten texts from A also as well as her friends. A’s threats are real. Mona doesn’t like that Hanna never shared this information; she wants to know what A has done to Hanna but Hanna says there just is too much. Hanna thinks she can make things right but according to Mona’s latest A text they only have till ten in the morning. Back at the bar, Spencer is not getting responses from her calls to Melissa. 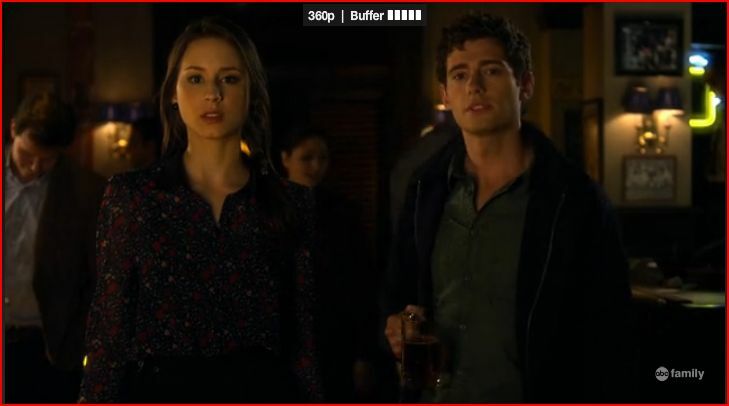 Wren suggests he can take Spencer home but she doesn’t want to go there. She then grabs another of those shots randomly sitting on the bar. Who leaves shots on the bar, did the waitress wander off? Shots are usually drinks you get and drink immediately. Ashley arrives home only to find the incident report on her kitchen counter. 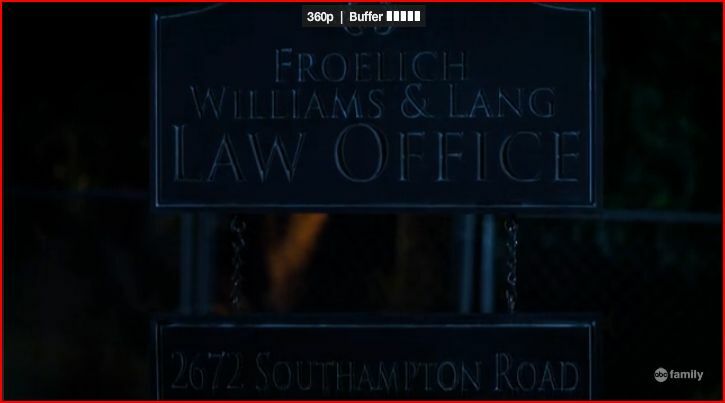 The girls arrive at the address to find a fancy sign but a residence instead of an office building. The mail drop is stuffed with mail and Aria tries to open the door. They are about to look around when Aria is frightened by a wrinkled old face popping up at the door. She trips off the porch. The help her up before the old guy comes out to see why the alarm has gone off. They decide it must have been the wrong place. After the break, Spencer is at Wren’s place. She tells Wren he dodged a bullet by not marrying Melissa, understatement ? Spencer adds that her family is so screwed up that Dr. Phil would not take them on LOL it almost sounds like a true story instead of an example LOL. Wren insists that his family also has issues. The Brits? NO, do tell !! They then start comparing themselves to each other. Spencer has to win at everything and Wren has to have all his books in order or he can’t sleep LOL wow a match made in OCD heaven, would A approve? Spencer teases him that one of his books is out of place before they start to kiss. 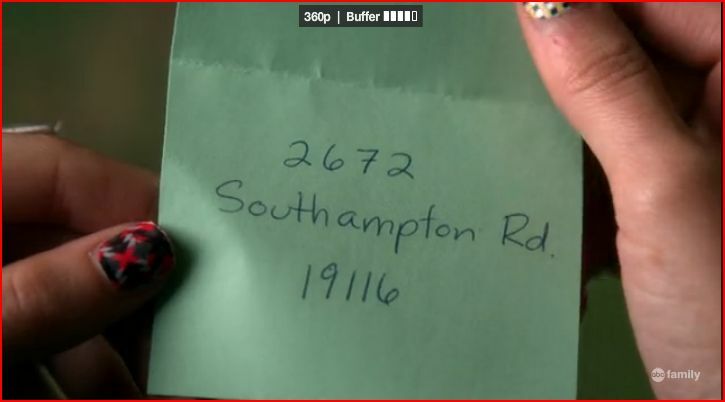 At Hanna’s they google the one piece of mail that Aria grabbed out of the slot at the old man’s place. The law firm on the address closed down three months before. Aria thinks they got scammed and that the location was bogus. 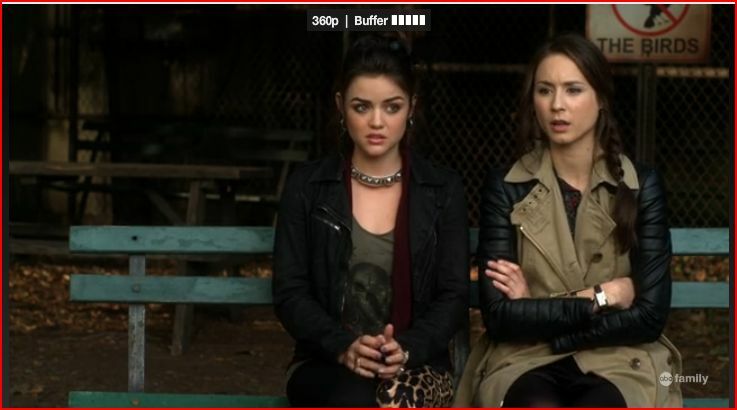 Hanna is frustrated because now that they didn’t find A either Ashley goes down or Mona does. Back at the OCD party Spencer shares that the first time she saw Wren she thought, “DAMN” which is so funny coming from her. Wren blushes. Spencer is all over him touching him but he realizes she is “snockered” or as we call it drunk or smashed. Wren being the good guy won’t take advantage of her condition. Anyway, Emily is embarrassed/upset/confuse and she runs into Paige outside. Emily confesses to Paige what is going on with her and Maya. Paige tells her that Maya bails when things get tough; um yeah because now that you are all the big I am gay activist you want to be with Emily…obvious much. She tells Em she needs someone she can count on, HER. Emily hugs her then Paige goes in for a kiss, that Emily totally isn’t wanting. Emily pushes her away before walking off. After the break, Hanna tells Mona at school that she doesn’t blame her for what she had to do. Hanna wishes the A mystery had been solved. 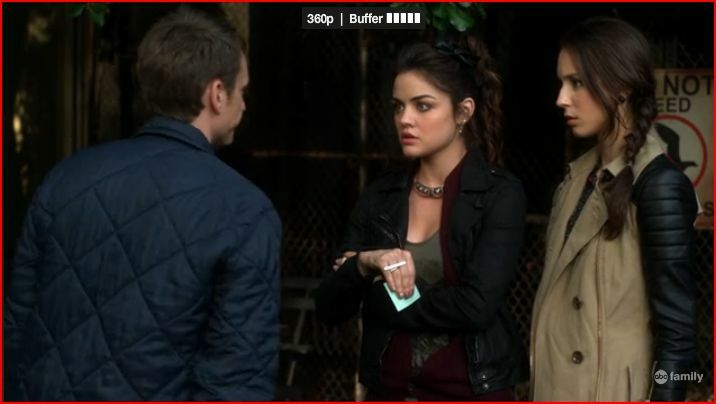 Mona tells Hanna that she took the necklace back and they called the police on her. She will now be doing community service with the homeless. Hanna can’t believe that Mona sacrificed herself for her and Ashley. Mona said there was no real choice she would never hurt Hanna. Hanna is her best friend. Hanna gives her a hug. Mona hopes they don’t make her wear a hair net and we are back, she is concerned with her look moments after her tearful confession; I assume she will check on that raccoon mascara LOL. Meanwhile at Wrens’ Spencer is still on the sofa. She sets up at the sound of him entering the room. He is back from rounds already. Spencer freaks out because its ten thirty which makes her very late for school. She apologizes for anything she might have done or said the night before then sprays mouth spray in her mouth, so Spencer always aware of being proper. Wren offers her the sofa anytime she might like to use it. He gives her a goodbye/good day kiss. LOL She leaves then despite wanting to stay. At school we see a close up of Mona with the others in the background. We also hear Aria say that Ezra’s plane lands in an hour. Mona opens her apple which is in plastic to find an A note. You didn’t bite the first time but you will. How gross putting notes on food now? Mona looks around as if she can figure out who did this thing to her. Hanna walks up behind her to see what’s up. I still suspect Mona its hard not too; does anyone think she is doing this some how to get attention from Hanna and the girls? She shows Hanna the note then decides she wants to leave school to keep from being a sitting target. 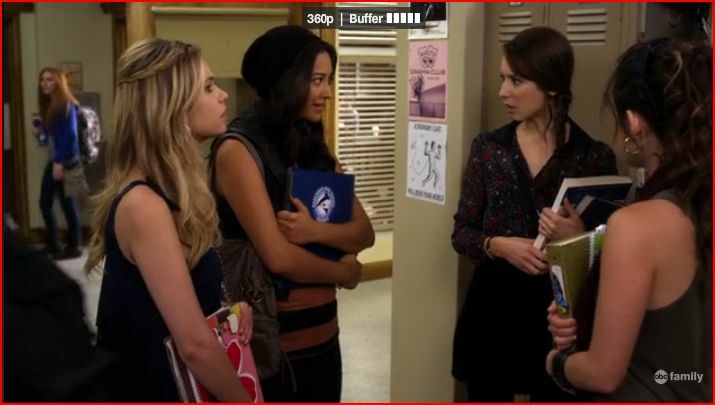 Hanna invites her to sit with them; how is it that Mona never sat with them before anyway? Mona has been Hanna’s pal forever. Ashley goes to the police station with the incident report she found. She gives it to Darren thinking that he is somehow trying to set up Hanna. Daren shuts the door but not before I see someone in the hall listening, is it Garrett? He is very nosey. Darren says he didn’t do it because if it came out he could lose his job. Ohhhhhhhh so that incident report was just something that A filled out to warn Hanna and Mona to do what she asks of them, got it. Back at school, Emily calls Maya yet again. She is in love and confused but not angry. 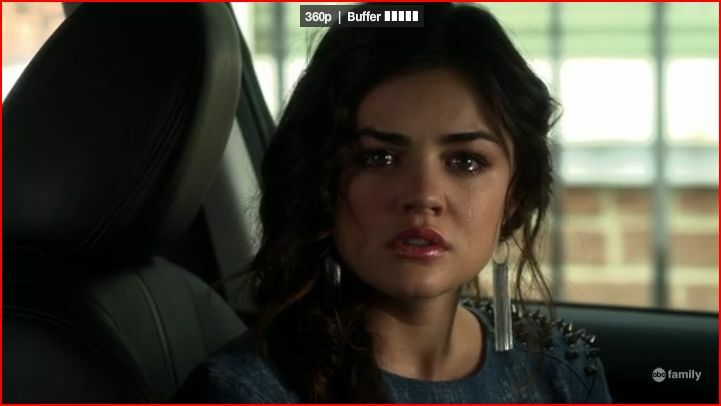 In Aria’s car somewhere, she meets up with Ezra on his return from Louisiana. He was offered the job but has not given his reply yet. Aria is surprised by his big reveal. Ezra isn’t sure that they can make things work with Byron on to them because he knows it would look bad if he turned down a good job. Ugh I hate when Ezra gets all chicken about this stuff here we go again. He thinks they are deluding themselves into thinking it can work. He leaves the car after saying he has class in a few minutes. Aria looks devastated. Later that day, Ella comes in the room after hearing Aria crying. She wants to know what is going on and Aria just blurts it out. “Ezra is leaving, Dad got his way, are you happy now?” Aria tells her that Ezra got the job that Byron set him up with but by the look on Ella’s face she had no idea about the job or anything relating to it. Aria leaves the room not wanting to talk to her mother. Aria is at Ezra’s later where she asks him how soon they want him in Louisiana. He says he is not leaving right away. Ella arrives at the apartment but not to bring Aria home but to try to understand their relationship. She came to listen. I guess Aria threat that she has not only lost Ezra but the Montgomery’s also lost a daughter got through to her. Spencer is watching the video on the laptop when Melissa walks in all sneaky like. Melissa wants to explain what is going on with her to Spencer but not at the house. She says it’s the same thing she wanted to talk to Spencer about the night of Ian’s funeral. She is a second later acting aggressive, “are you coming or not?” she asks. Spencer oh Spencer your sister is not stable do not leave with her without your phone or at least send out an SOS to the girls……..this can only end badly I think. Over at the beginning of the worse tea party ever, the mother of the teenage girl, the teenage girl and the college professor meet to discuss their goings on LOL. Ella is clear that she does not condone the relationship but she is fearful of what will happen if she takes the same stance as Byron. She wants to understand what their “This is” Ezra gets up to get the tea kettle at this point. How convenient for him. Ella just stares at Aria who tries to smile. It is good to try to understand these things. We all know that Byron will LOSE his freaking mind when he hears about this because he is not a good listener but a HOT head. In other news, Ashley sees the junk mail that they got from the address, on the bed. 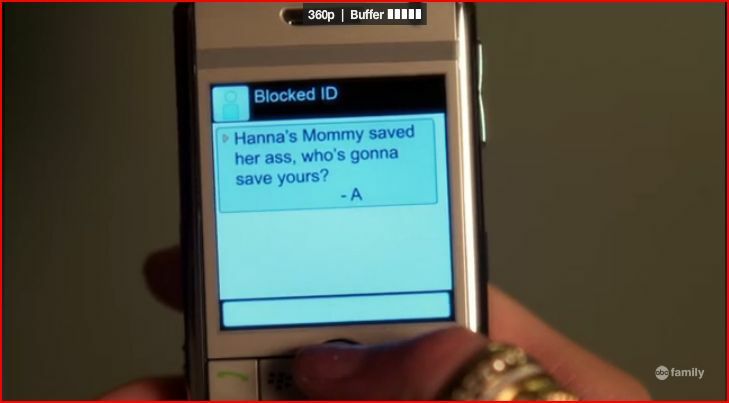 Ashley finds it odd that it would be delivered to their house by mistake; um that because Hanna is lying but oh well. Ashley knows the firms name because it’s who she used for her divorce. Oh but wait Melissa Hastings worked at the firm as an intern that summer…….and we are back to crazy Nanny/Psycho Melissa commonly known as Mrs. Paul Wesley. The lady we loved to hate, Torrey Devitto. This same person that has taken off with her little sister to parts unknown. For the bad news, Emily opens the door to find a cop. He says he needs to discuss Maya St. Germaine with her. Oh here it is; I knew something happen to Maya ….oh hope she will be okay. If she is not okay Emily will be devastated. She will think that her letting her leave was why something happened. The last scene is someone shooting at a target, right in the middle of the chest. 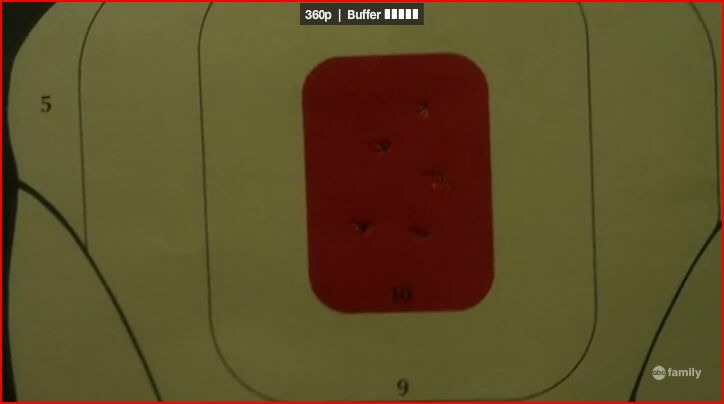 Who do we know that could shoot that well? Hmm maybe a cop? or maybe a huntsman like Jason? I don’t know but it was a good episode; please leave comment. Spectacular recap! It was so much fun to read, and the screencaps were positively flawless (particularly, the gratuitous Wren ones ;)). One of the great things about this show is how excellent the writers are at making EVERYBODY look like they could be ‘A.” Melissa, Mona, Maya, Blind Jenna, Police Boy Garrett, Facelift Vampire Jason, Noel, Kate, Spencer’s dad, even Fitzy . . . everyone just seems SO GUILTY. I love it. I’m with you 100 percent on Mona’s motives looking suspect regarding the receipt of the “A” texts, particularly on the heels of her getting so completely shafted by Hanna lately, for the rest of the girls. Now, does that mean she’s A? I hope not! Not necessarily because I’m so enamored with the character (though she IS fun). But because I’m really hoping that the person who ends up being A is someone completely unsuspected . . . someone who makes my jaw drop, when I find out who it is. I don’t think many people would feel shocked about A being Mona . . . or Melissa, for that matter. Melissa . . . boy, what a creeper Spencer has for a sister. Whether or not she’s A, or Ali’s killer, girlfriend is definitely up to no good. But I can see why it’s hard for Spencer to completely sell her down the river too. Blood runs deep, and all that. I predict we will eventually learn that Melissa was the one Ali was blackmailing, and that she knew about Jason’s paternity, after all. 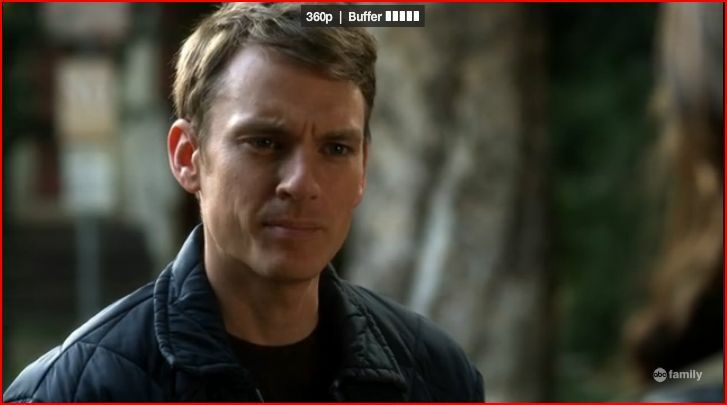 It would definitely explain why Ali was happy with Jonah’s determination that the calls were coming from the law firm. But just because Melissa was one of the “A’s” for Ali, doesn’t necessarily mean she’s “A” for the girls. Right? Ahhh the plot thickens . . . Thanks again for the awesome summation! I can’t wait for next week’s epi. Hey you, I also think that maybe Melissa could have been the one being blackmailed but at this point it could have been any of the Hastings or even Mama D for that matter LOL. We only know for sure it was not Spencer or Jason so its up in the air otherwise. Although if we follow the money trail it has to be an adult that was blackmailed. It is true too that if its Melissa or Mona it would anti climatic because they are a bit obvious at this point then again we have known it was a Group of People so we could be right all together LOL. Okay its fun to guess but I totally am one of those that wants to be right but I don’t have a clear suspect except that Evil Twin of Allie’s that we do not know exists LOL. I always go back to Allison, like that last episode when they saw that Allie had been blackmailed by A using that pumpkin and look what she did to the girls at the house, that could have been set up by Allison. If Hanna had not supposedly talked to Allison that day at the beauty shop I would think that she might have made up the whole Vivian thing. I don’t know but sometimes I do think that A is one of the girls……….have you ever seen that episode of King of Queens where Spencer pranks Doug by playing a stalker and Doug has NO clue it is him. Its like that. If it is one of the girls then I totally think its Hanna. I said that because some mental conditions can do all kinds of things to your brain. Hey in that case it could be Spencer also because she is the most stressed out by her family but Hanna takes things harder. Think about it Hanna was at the Lakehouse where A’s stuff was found. 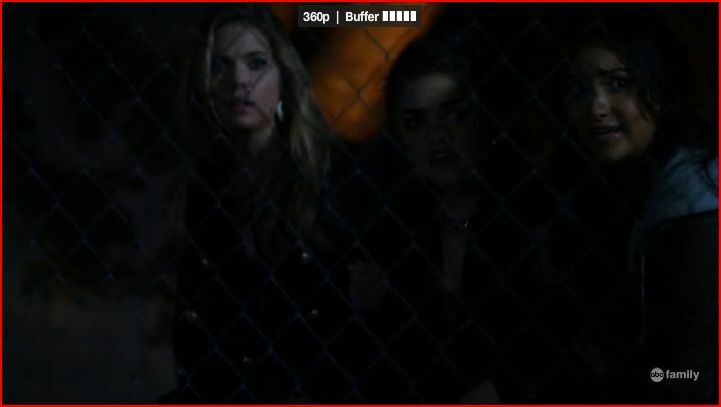 Hanna and Mona are major shoplifters who it seems can never ever repay what they have stolen yet does Hanna even seem ashamed at all? No not so much. Hanna has an evil stepsister or does she? Is Kate maybe just annoying and Hanna is taking it out of context. Hanna’s mother says she would do ANYTHING for her which might be feeding her illness; Ashley coddles her. Hanna would be the last person anyone would suspect. With the videos from Caleb Hanna has all the information. Hanna was treated the worse by Allie as far as I can tell and then Hanna was very childlike. Yeah I know probably all the girls could have a similar list; but its something to think about while we wait to find out for sure.